CNC Plasma cutter is one of the industrial machine parts that are currently used in cutting materials in the construction and manufacturing field. In case you have not had an experience with it, it is important that you read through the advantages of CNC plasma cutting that are highlighted below. 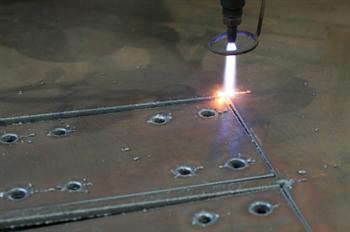 Manual plasma cutting delivers accuracy and precision in cutting based on the measurements that are given. The cutter is designed with gears that enable the plasma cutter with accurate motions in all the directions of cutting such that there are no variations on the measurements. Besides, there are CNC plasma cutters that are computer-operated such that the specifications of the measurements are stored in the hard disk of the computer prior to the cutting process. With this, there is always a higher chance of accuracy and precision when it comes to cutting. One of the aspects of efficiency in CNC plasma cutting lies in the ease of use of the cutter. The cutter requires minimal training for the operator which makes using it very efficient. Besides, the cutting process does not require complicated adjustments as with laser cutters. The other aspect that makes the CNC plasma cutting more efficient is the rapid cutting speeds of the CNC plasma cutter. In fact, the cutter can operate at speeds of up to 500 inches in just one minute. CNC plasma cutting can be applied to a variety of materials. In fact, the cutter can be used to make quality cuts on both non-ferrous and ferrous metals. Even those metals with gauge thickness or even 3 inches can be effectively cut through CNC Plasma cutting without any problems. It is as a result of this that most people in the construction and even the manufacturing are always going for CNC plasma cutting.